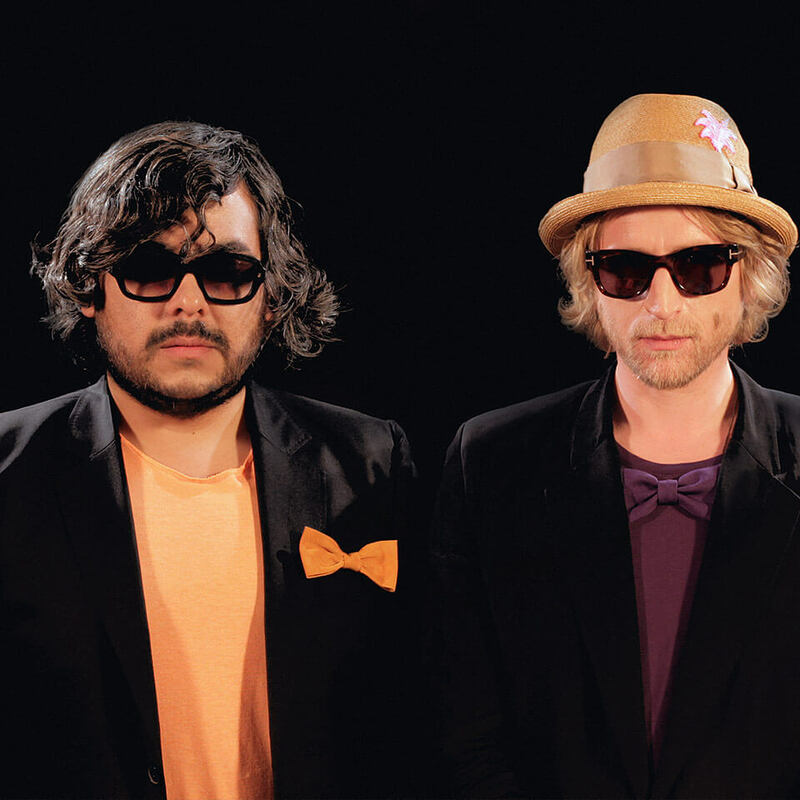 Their names are Superpitcher and Rebolledo, together they are Pachanga Boys, and they are trying to make the world a better place with their Hippie Dance. The Pachanga started with underground hits such as ’Power’ and ’Fiesta Forever’ on Kompakt ’s annual Total compilations, but steadily the good news spread far and wide, and the Pachanga Boys’ DJ sets became one of the hottest tickets on the European music scene. Soon after the boys launched their label, Hippie Dance, home to instant classics like ’Black Naga’ and the enormous crossover smash, ’Time’. It’s here they also dropped the album ’We Are Really Sorry’ and a collection of weird and wonderful collaborations, short films and other exploits. Today the demand for these underground superstars is hotter than ever.